When you visit our offices at Eaton House, in rural Herefordshire you can always expect a warm welcome. We hope you’re not allergic to cats as we usually have 5 dotted somewhere about the place – usually sleeping! We’re not biased against dog enthusiasts – honest! So if you’re looking for a friendly SAGE based accountant why not come and see us – to make an appointment call 01568 615638 or go to our contact page and e-mail. Do you need help with your Self Assessment Tax Return form? 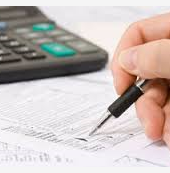 If you need help with your Self Assessment Tax Return form why not give our friendly staff a call on 01568 615638?